This is one of the biggest questions we get asked when individuals or couples are looking to buy a franchise – in particular with us at Gutter-Vac. We didn’t start yesterday! In fact, Gutter-Vac started more than 20 years ago and we now have over 85 territories in operation at this time. We have learned a thing or two in that time and made pretty much every mistake you can make when marketing your business! Over that time, we have discovered what marketing works. We haven’t just rested on that, we are always testing and measuring our marketing, adapting as times change. 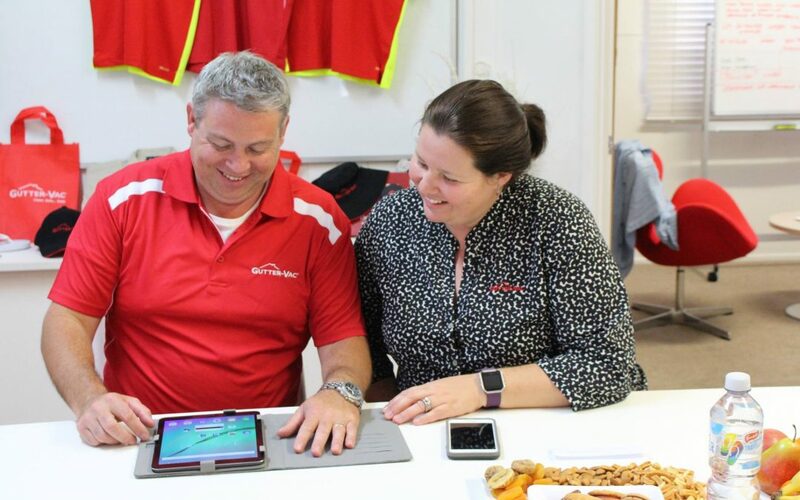 We keep up with technology – just recently releasing a whole new website for our franchisees to not only keep up with the times in look and feel but also the functionality of a website so that our franchisees and the Gutter-Vac business is “found” by their customers. We use social media and we also use what we term ‘old school’ marketing that works as well today as it did 20 years ago! In the initial franchise training, you get a WHOLE DAY on marketing. The theory of marketing, every strategy we do, how to do it and why do it. We even cover some strategies that you should NOT do and why they don’t work! We don’t have a national marketing fund because to put it simply, for Gutter-Vac, local area marketing has always been the key to success. We want our franchisees investing their marketing dollars where they will get the greatest return and that is on local marketing, not expensive – and ineffective – national campaigns that may look flash, but don’t bring in customers! So if marketing is something you are nervous about, we have got you covered! Marketing is a skill, not a talent. That means it is something that can be learnt, not something you need to have been born to have a flair with. We can teach you and then with the support of our in-house business coach, support you as you grow your business.